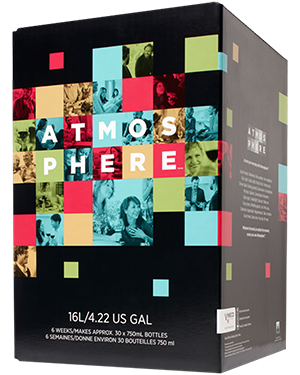 Accent your everyday with Atmosphere. Good friends. Weekends. Nice weather. Get-togethers. Girls night. Outta sight. Pose & click. Posting pics. Dinner table. Feeling grateful. Generations. Foundations. Me time. Sublime. Contemplate. Resonate. Date night. Candlelight. Take out. Make out. Fancy dress. Wedding guests. I do. Me & you. Celebrate. Appreciate. Happenstance. Take a chance. Good times. Great wine. Any day. My way. Whatever the mood, no matter the moment, create your own Atmosphere. A lively, complex palate of red cherry, strawberry, & licorice, with fleshy tannins, & a long finish.